You will need wine for the holidays? Wine is a universal gift. You would like to have some pleasure products as a present? We have what you need for Christmas and the holidays (for yourself, or as a gift). Of course, you can just enjoy a good glass of wine in a relaxed atmosphere here in our old wine cellar! 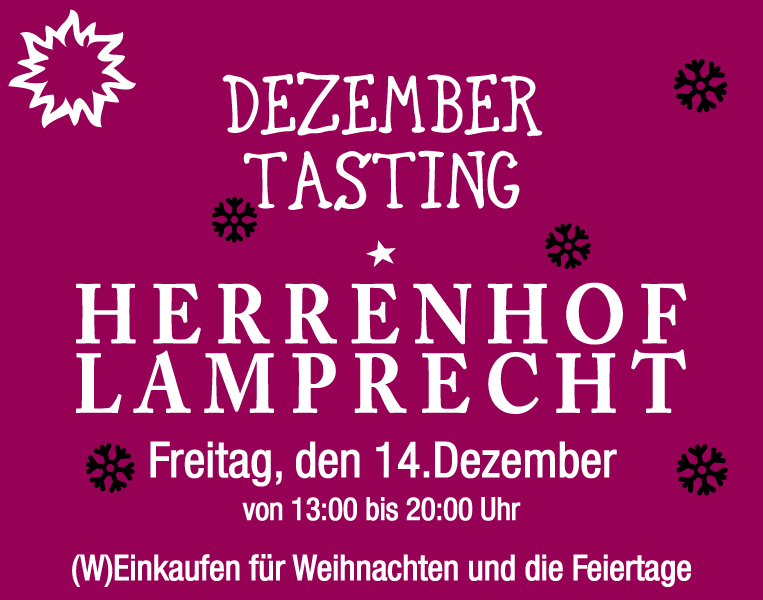 On Friday, December 14th, you can taste, buy wine and relax at the in our old wine cellar from 1:00 pm to 8:00 pm.